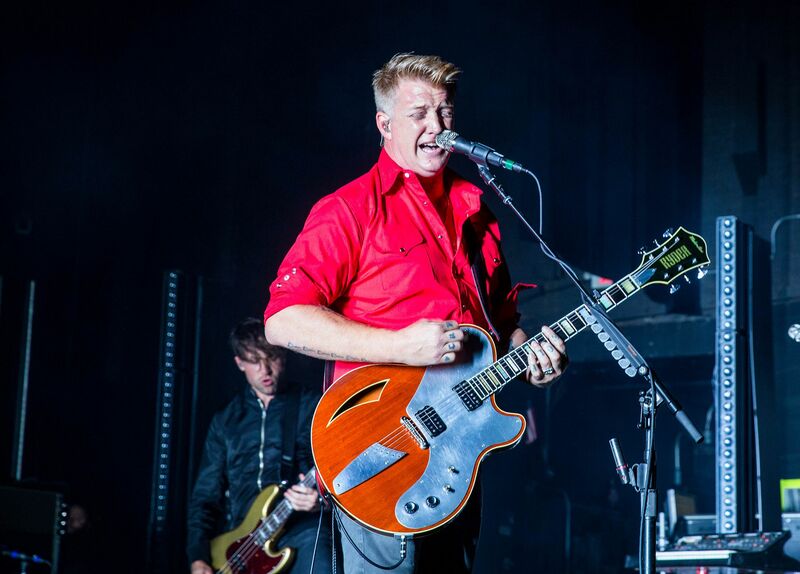 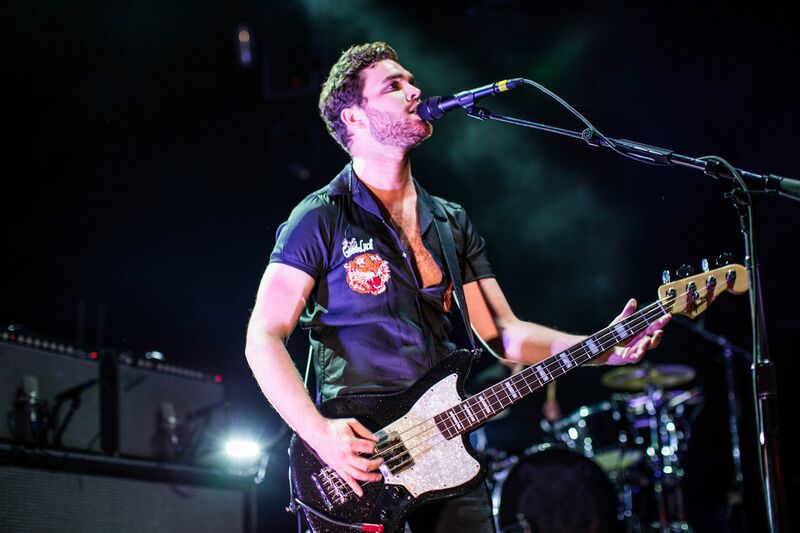 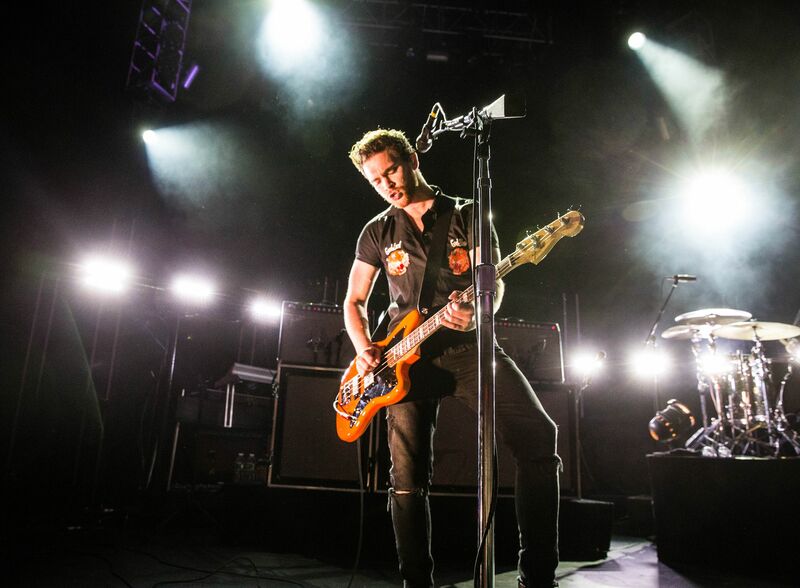 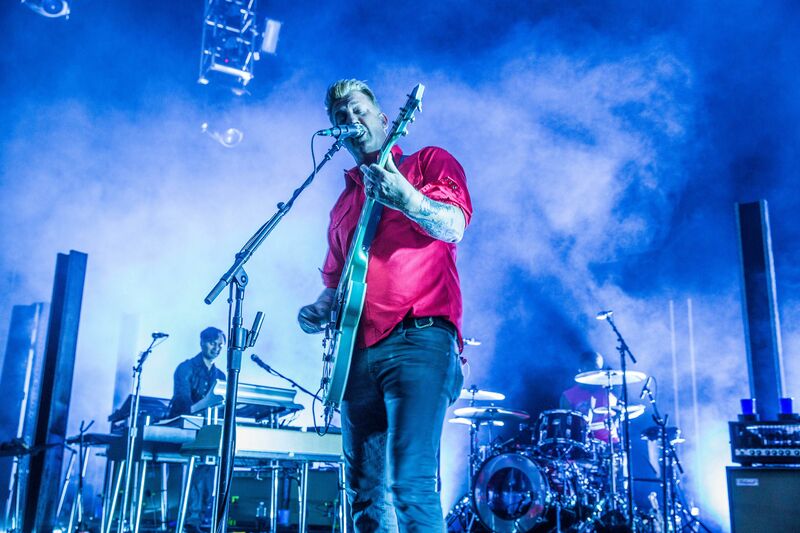 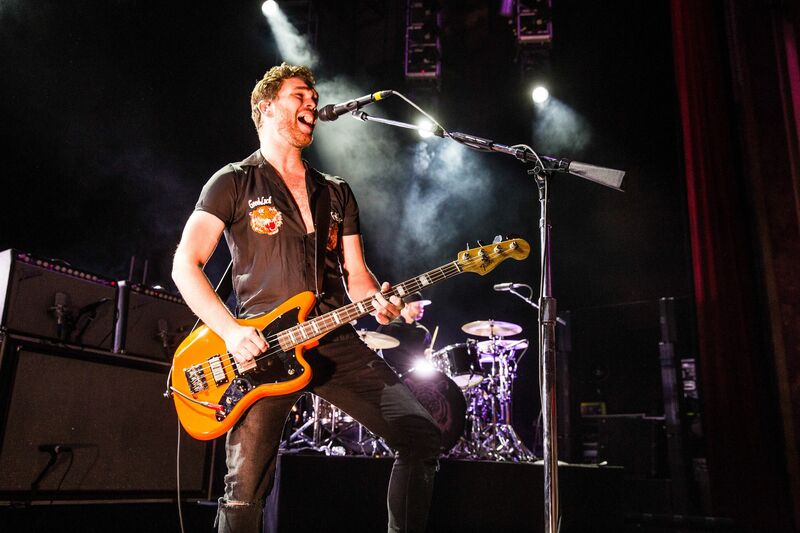 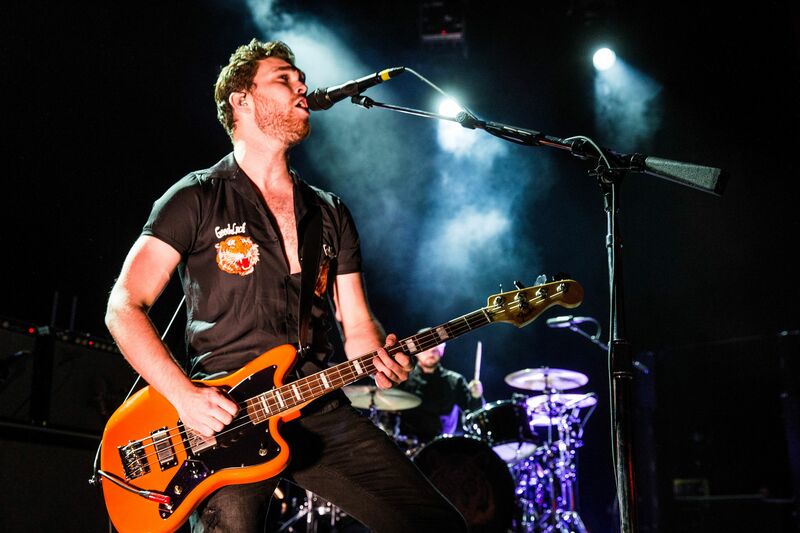 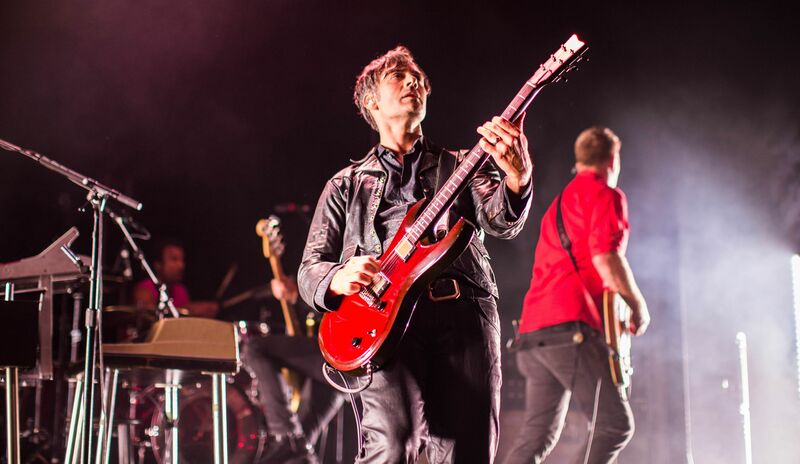 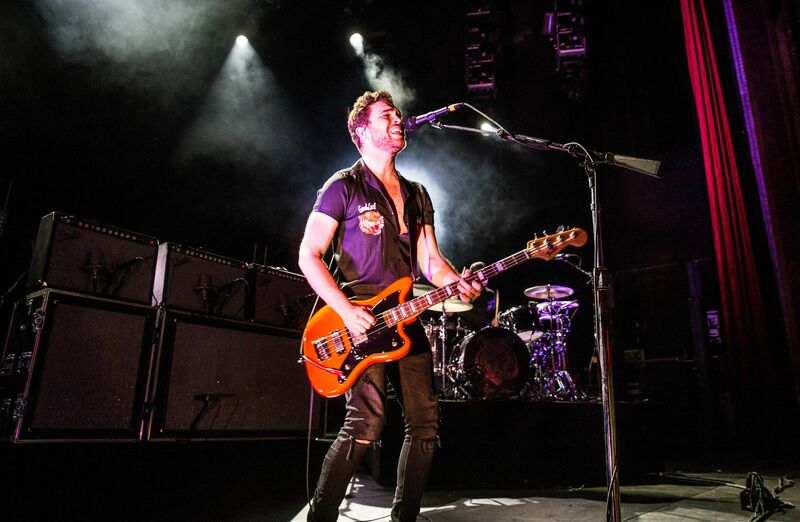 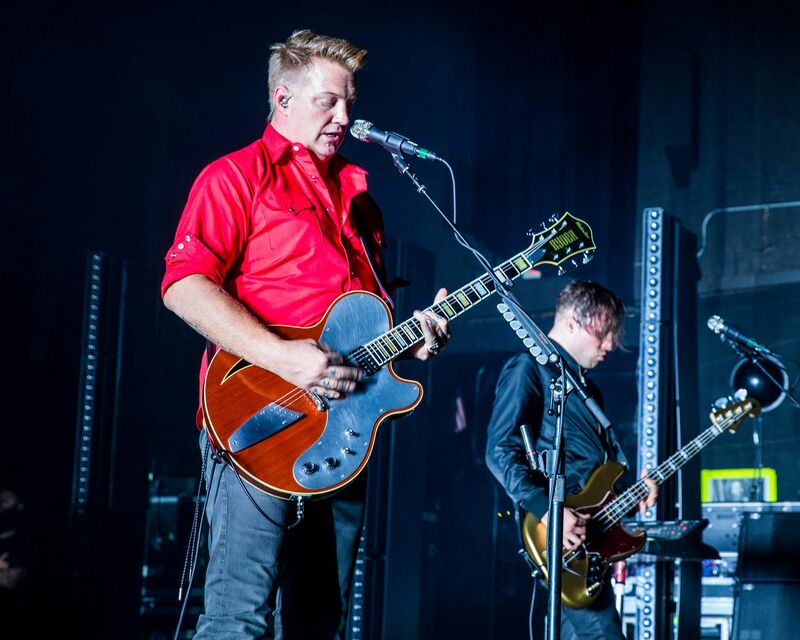 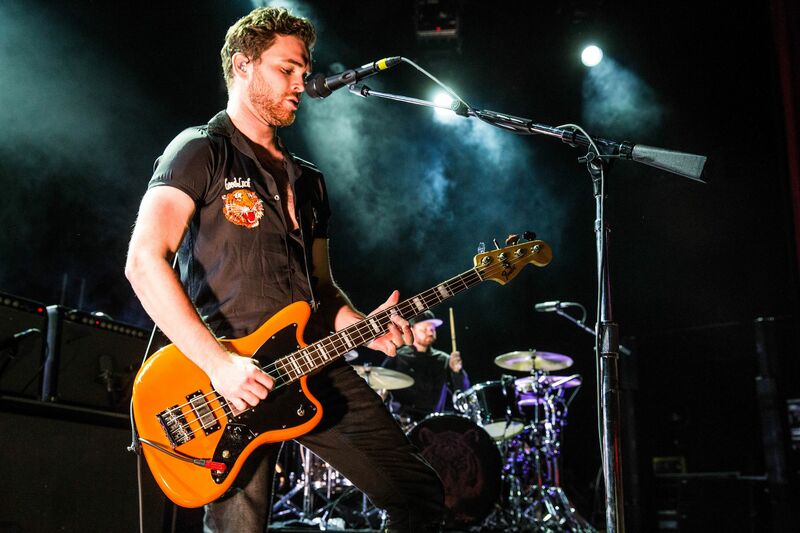 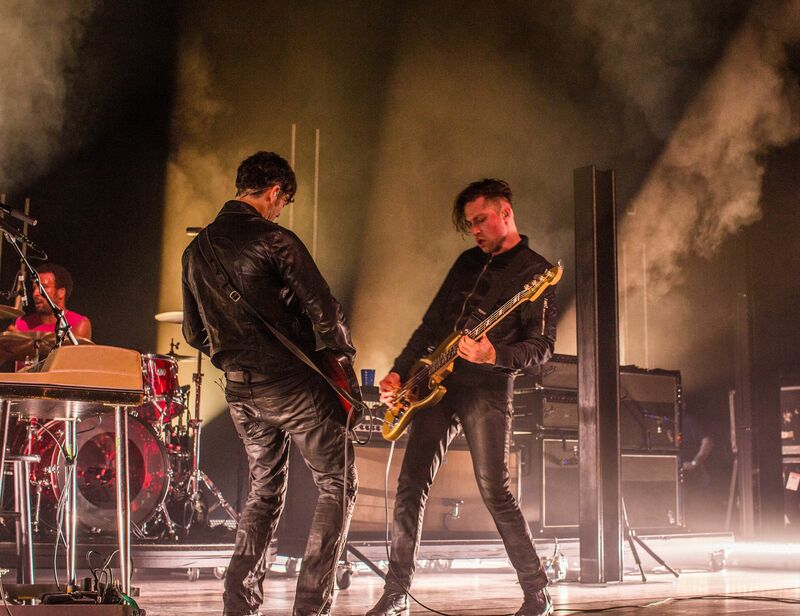 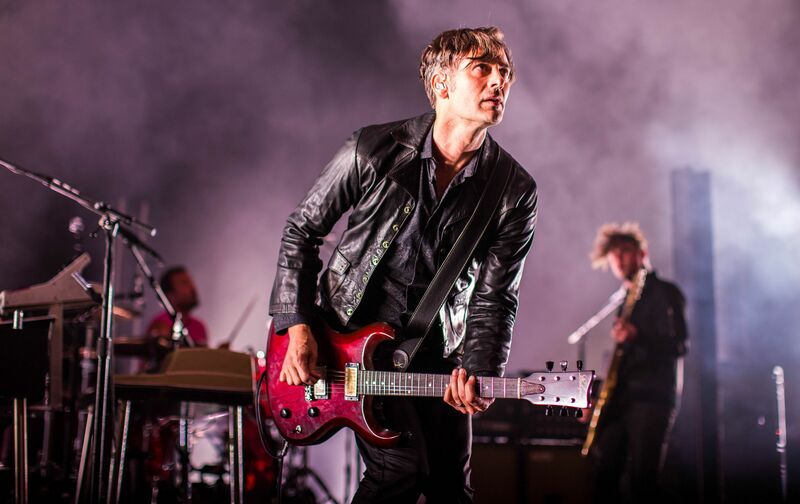 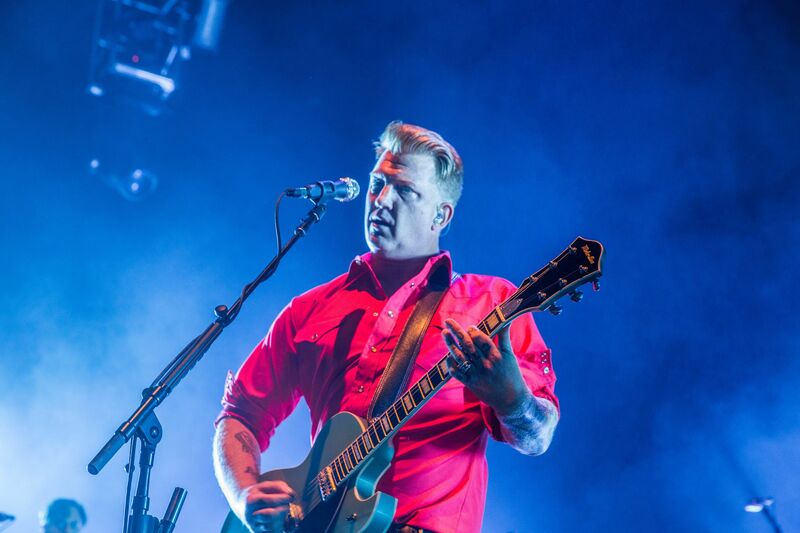 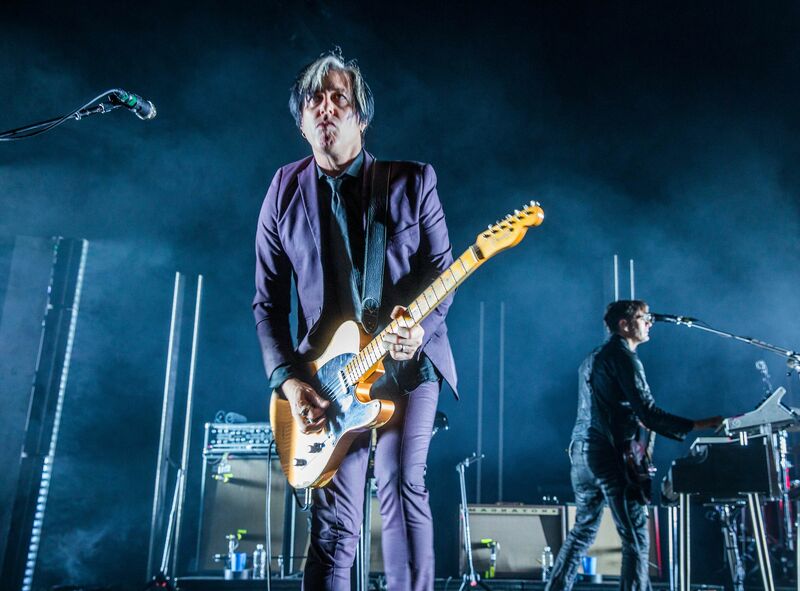 An outstanding dual billing of Queens of the Stone Age and power duo Royal Blood put on a night of rock and roll fit for royalty on Wednesday night. 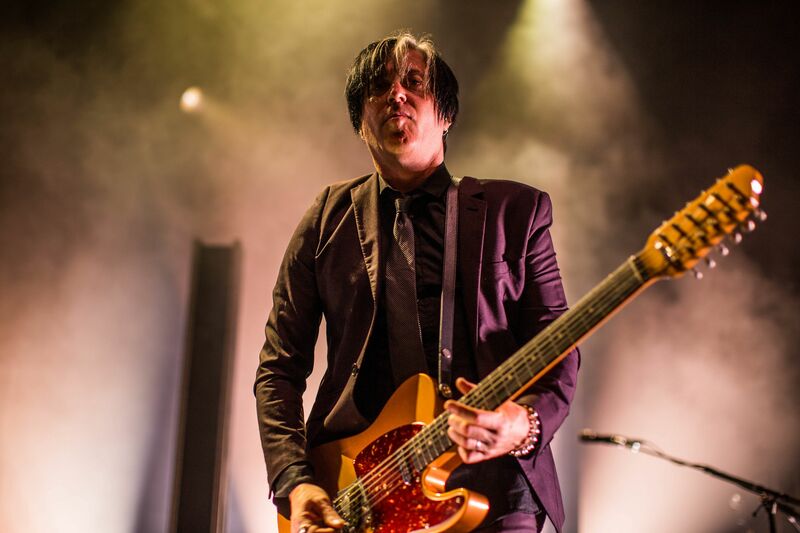 Mother nature may have brought rain to the first stop on the “Villains World Tour” at Port Chester’s Capitol Theatre but the two bands themselves brought out the real thunder and lightning. 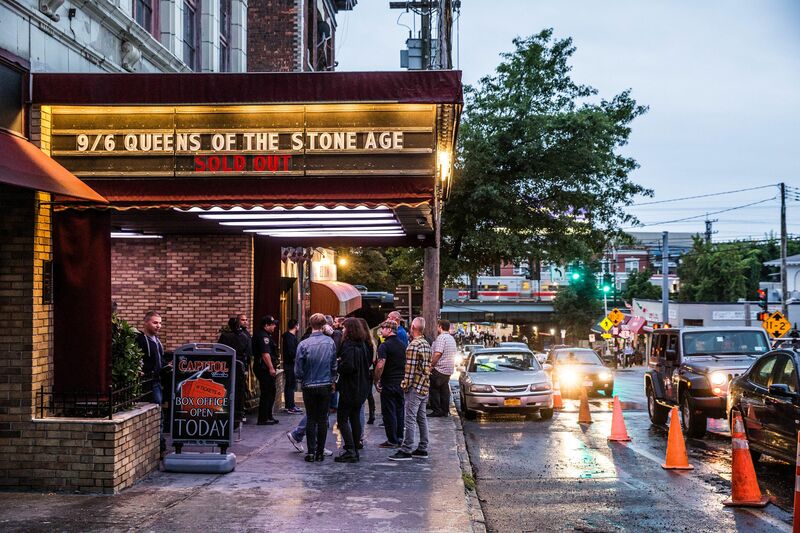 Night one’s show was sold out and despite the weather outdoors, eager fans had no issues lining up early wrapping around Westchester Avenue, ensuring themselves prime real estate on the showroom floor among the 1,800 concert goers. 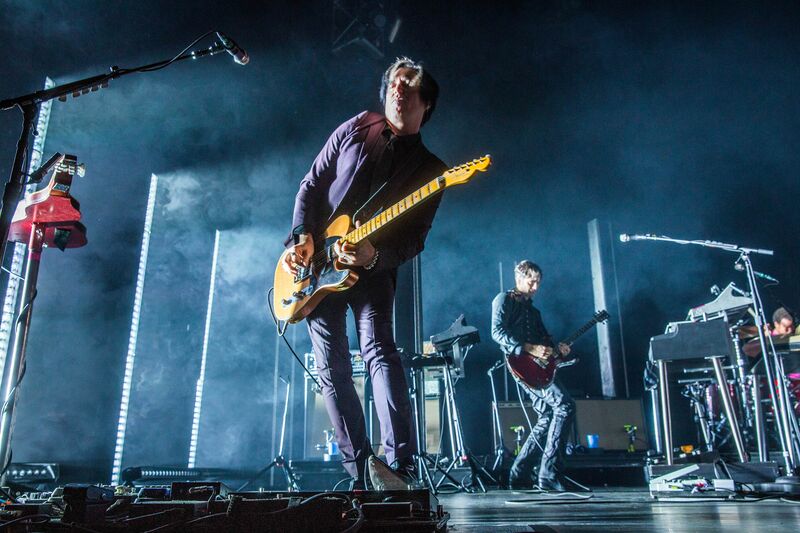 Beautiful architecture within the theater was complimented by projections of the brilliant ‘Villains’ album art on one side of the room. 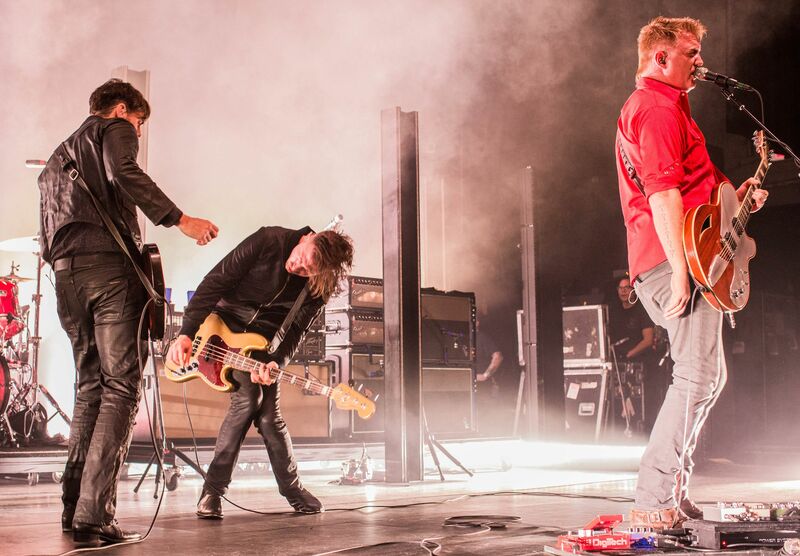 With very little space between the guardrail and the low stage fans in the front, most rows were treated to an extremely intimate experience. 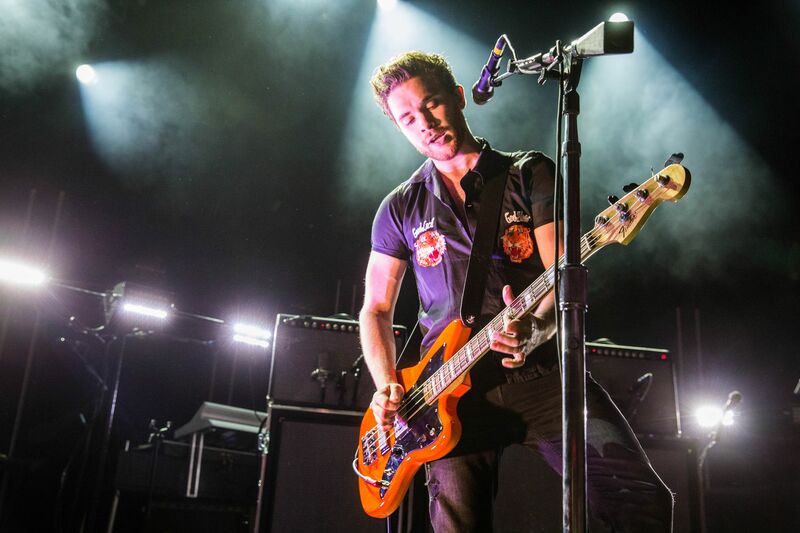 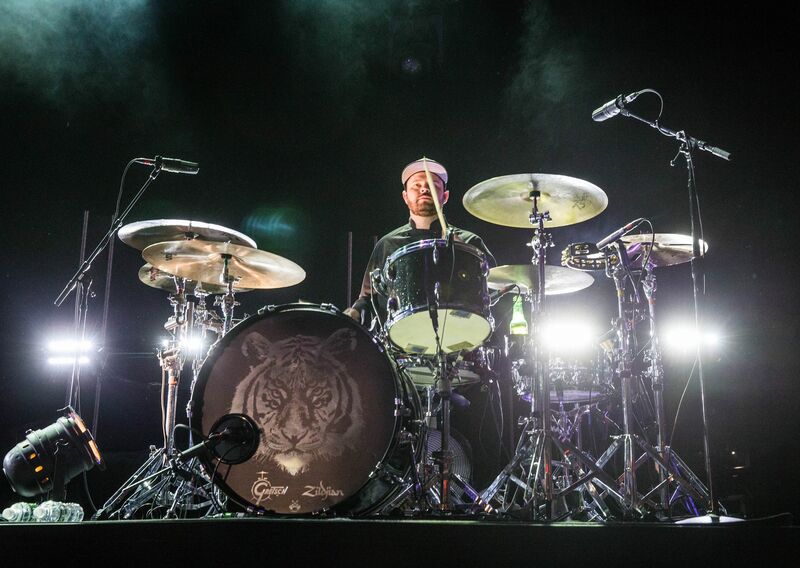 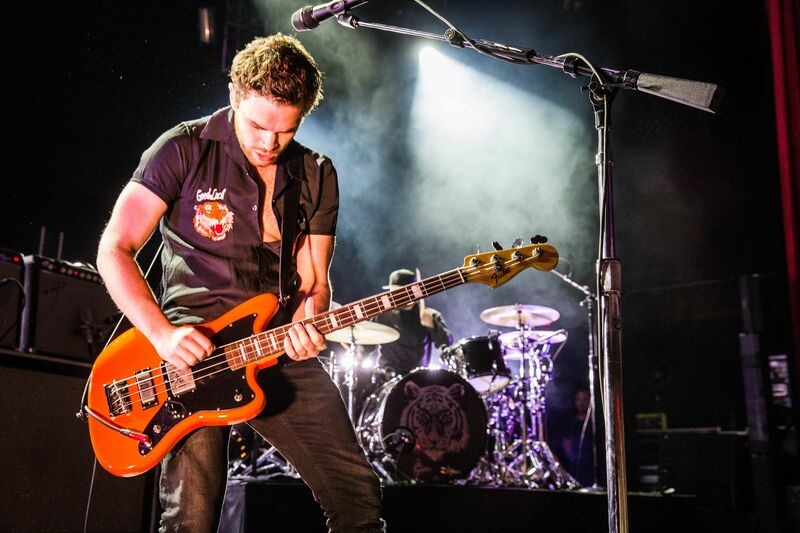 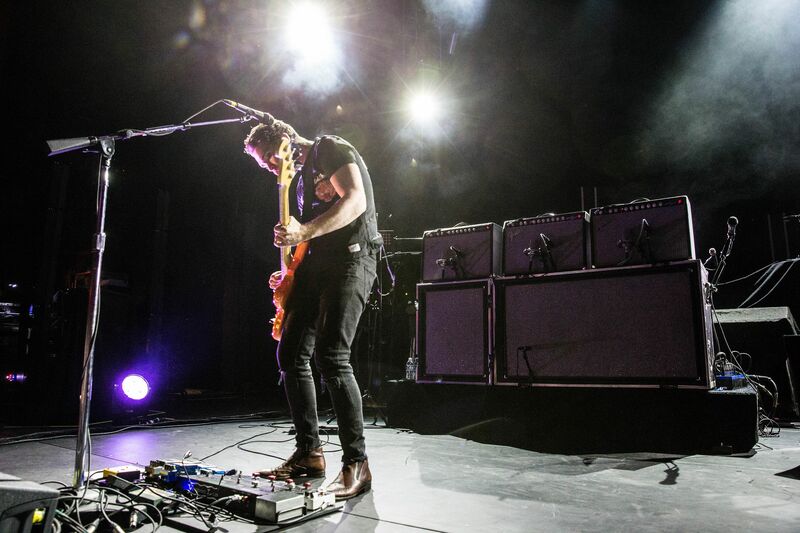 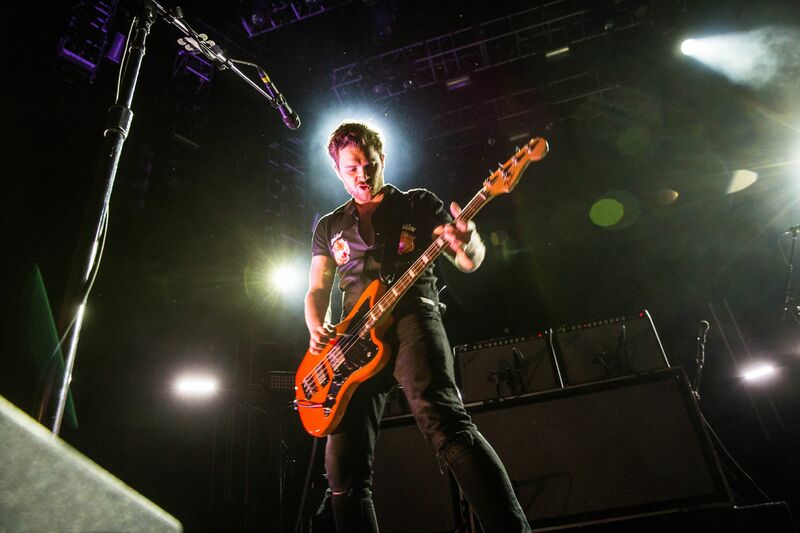 Unfathomably intense and curiously loud for a two piece band, UK rockers Royal Blood riled the room up instantly. 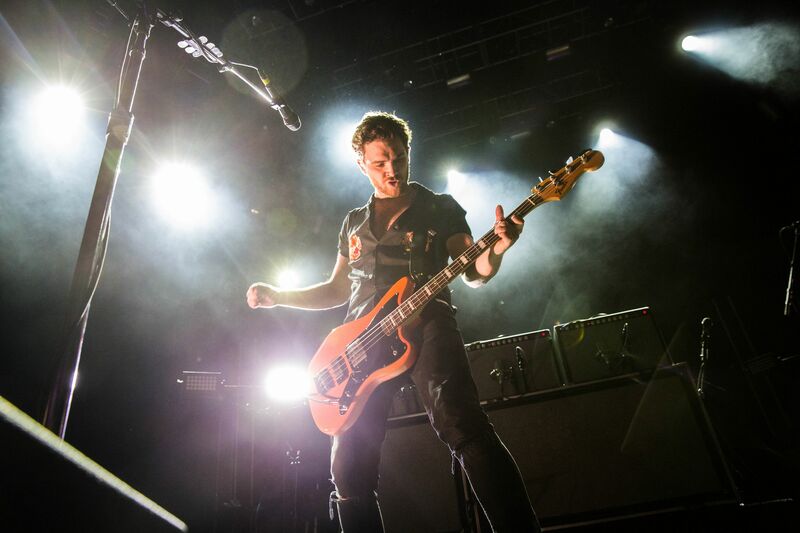 Singer and bassist Mike Kerr along with with drummer Ben Thatcher had heads banging as they thumped and rolled into “Where Are You Now?” Right away, it’s really hard to not be impressed with how these two deliver an atmosphere of audio that bands three times the size would have a hard time pulling off. 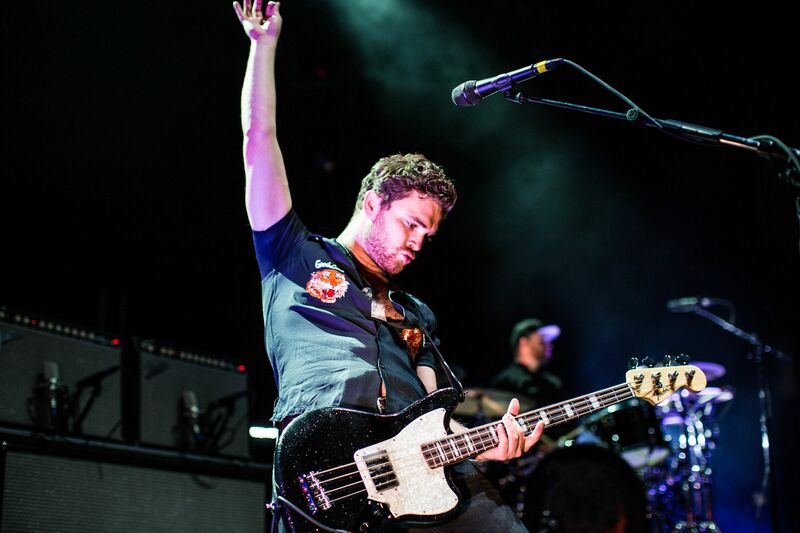 Kerr’s grumbling, muddy bass sound led the way toward “Lights Out,” a song that showcases every reason that makes these guys a powerful band- catchy grooves, strong hooks, tight beats and a killer dance inspiring solo. 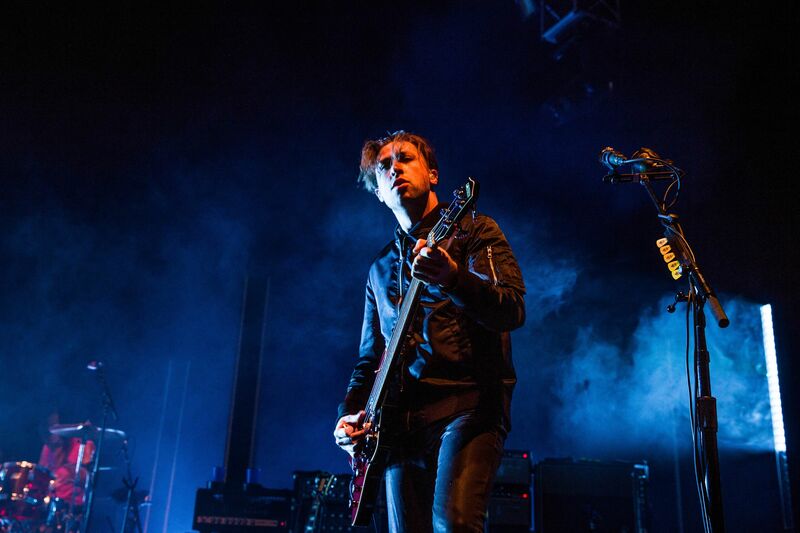 After the two opening cuts from their latest album “How Did We Get So Dark?,” the two broke out into the feverish and dirty “Come On Over” from their self-titled, major label debut. 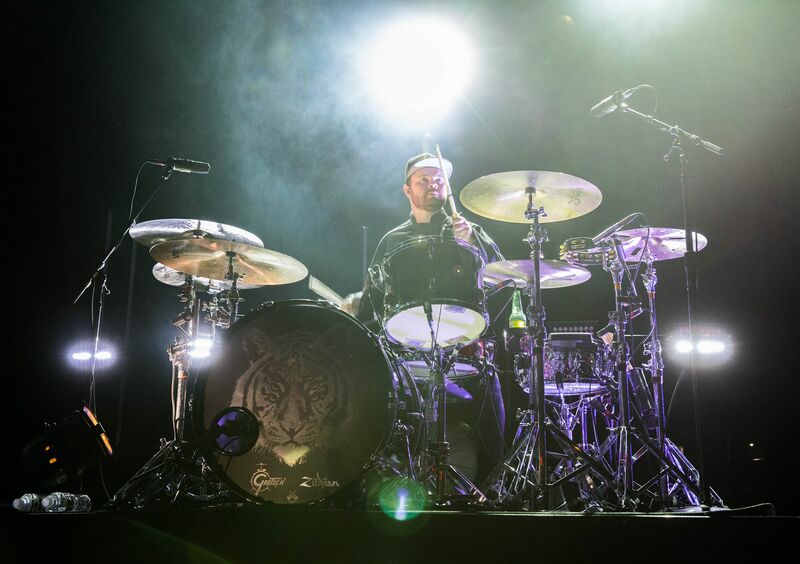 With his drum set on a platform, Thatcher’s ferociously flailing arms were visible for all to see and as the only other member on stage, Kerr took full advantage of the free space and frenetically danced about in between verses and choruses. 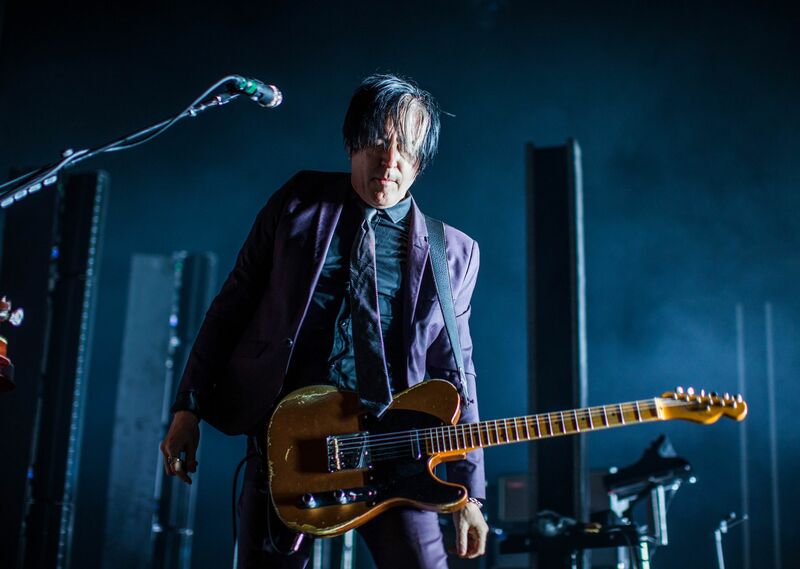 “I Only Lie When I Love You” warmed up the remainder of the crowd and a every body in the room was moving as the build up at the song’s end took off into the sludgy track “Little Monster,” a similar favorite from the band’s first record. 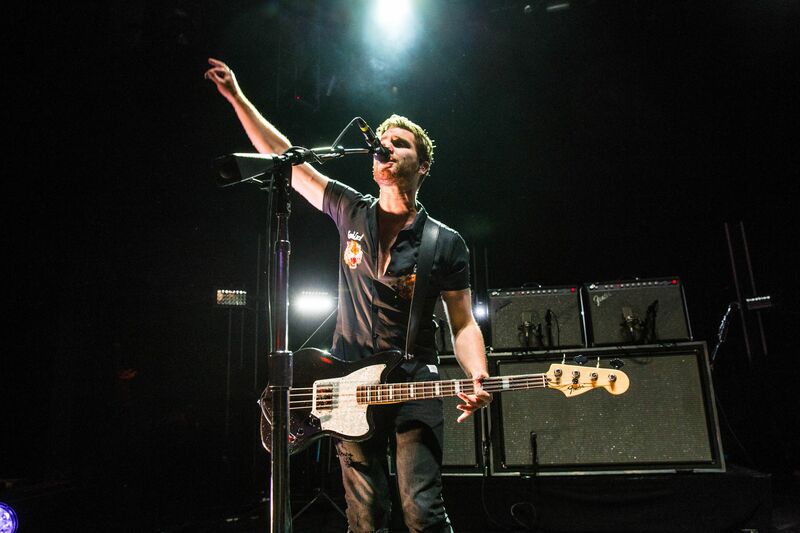 No signs of slowing down as they tore right into ground shaking performances of catchy cuts “Hook, Line & Sinker” and “Figure It Out.” Royal Blood left their mark on New York crowd with “Ten Tonne Skeleton,” a song heavier than it’s title describes, and the furious “Out of the Black,” which saw Kerr smashing on Thatcher’s cymbals and exemplifying how incredibly tight the two play together. 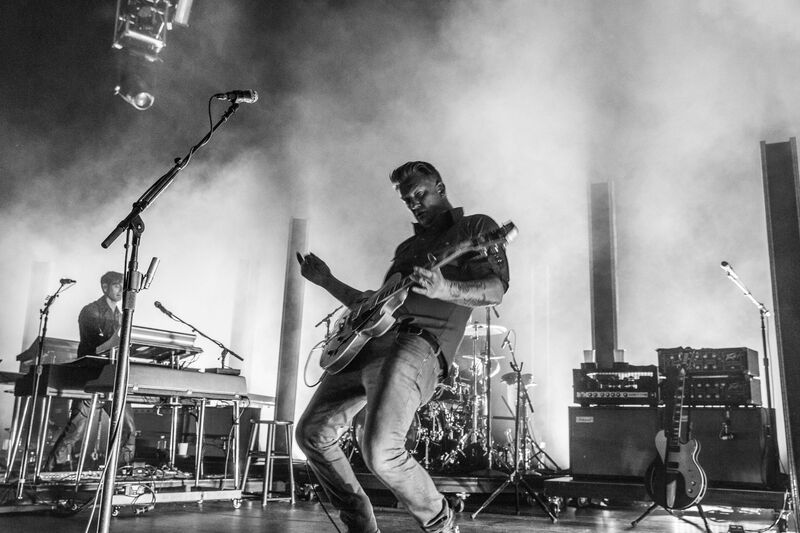 Most bands would opt to do something like this on tape over the PA and jump in at the main riff, but every layer including the abstract vocals were played live, a true dedication to authenticity and a perfect display of musicianship and talent. 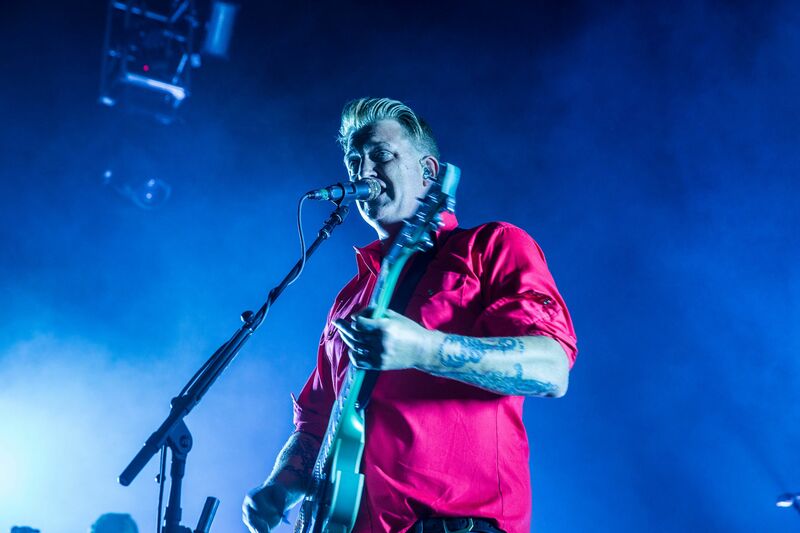 Once that build up hit the main riff, the entire room erupted and a full fledged funkfest of rhythm and grooves ensued, courtesy of Queens of the Stone Age. 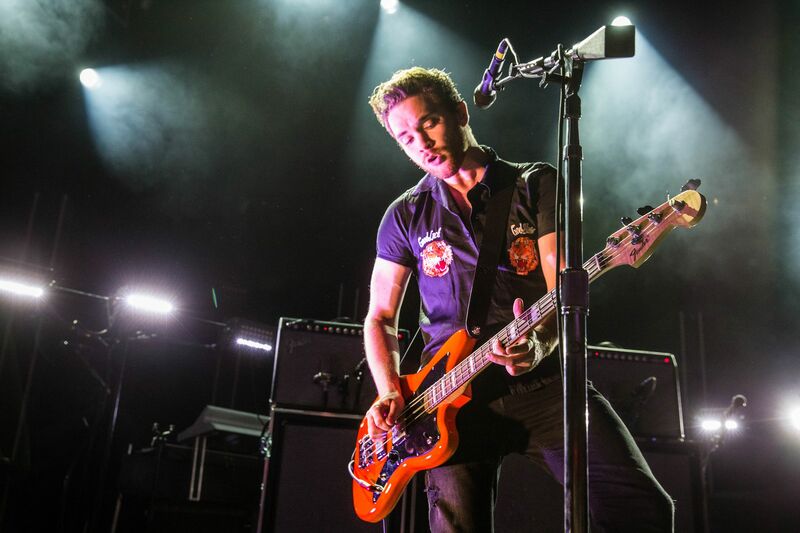 Theodore’s thunderous beats pounded you in the chest as you confused the thud of your heart with beating of the drums but nothing mattered because the music was in full control. 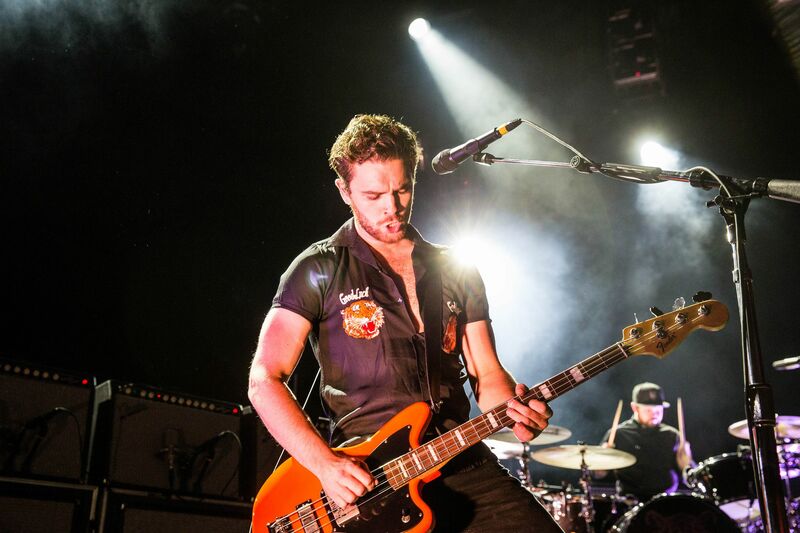 “Turnin’ on the Screw” and “My God is the Sun” continued to push the body rocking into overdrive before slowing the tempo down just a bit to the more headbanging and foot tapping vibes of the gritty “Domesticated Animals.” A short reprieve before bringing it right back with “Like Clockwork’s” monstrously groovy “Smooth Sailing” reignited the raucous crowd. 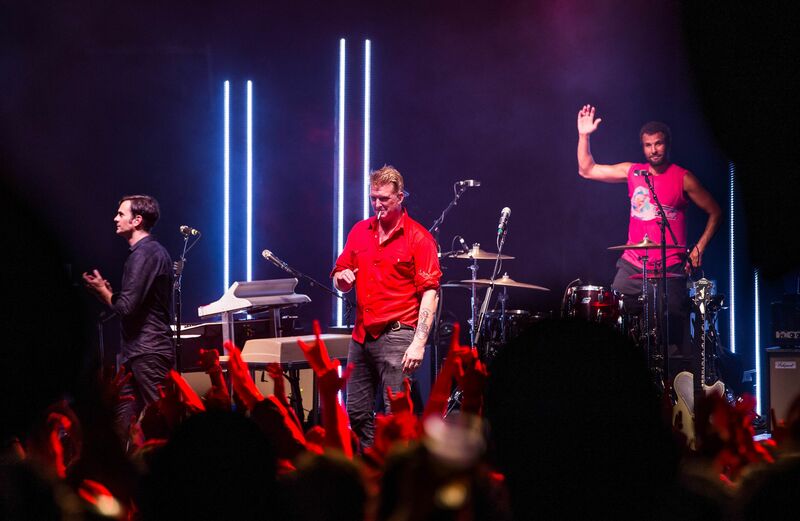 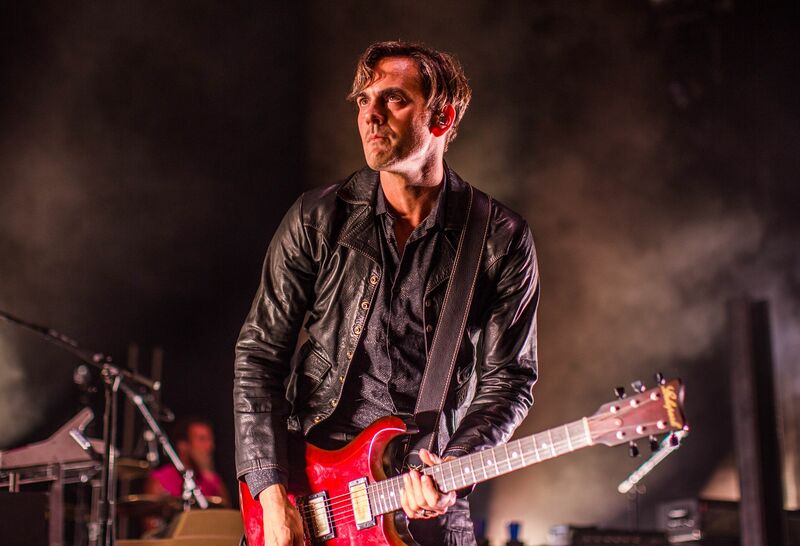 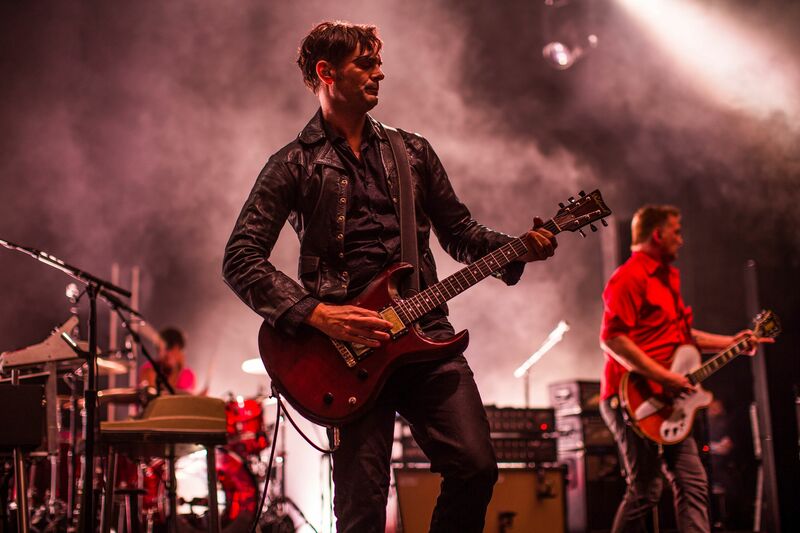 The band covered seven of the nine tracks off of their latest album, including the live debut of “Un-reborn Again” and while Homme made an apology for playing so much new material, the live crowd didn’t seem to mind at all. 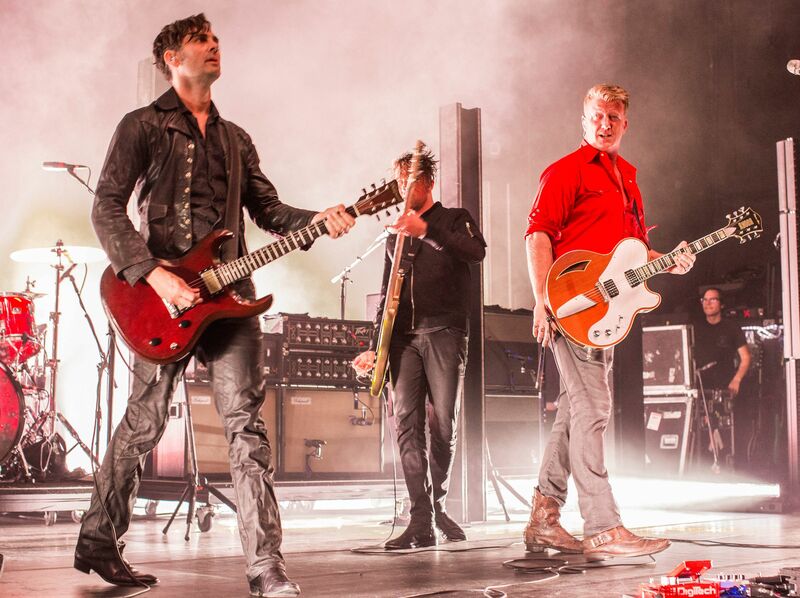 Other notable plays include “Leg of Lamb,” a song that hasn’t seen stage time in over five years and crowd favorites “No One Knows” and the cowbell laden “Little Sister.” Queens of the Stone Age wrapped up an epic ninety minute set with a vicious and destructive play through of “Song for the Dead” which literally rattled the foundation of the theater.